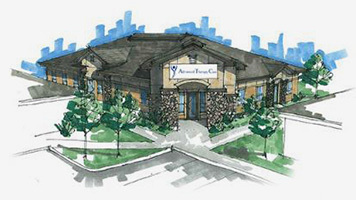 Our experience at Advanced Therapy Care has been a rewarding one. It's been a huge confidence boost for N. to have us understand his speech and a gift for his family and friends to understand his wonderful thoughts and stories. S.D. Improving communication, cognition, feeding, and swallowing can all start at very early ages. Whether you're looking for early intervention (0-3) facilitation for a child with a known medical diagnoses such as Down syndrome or Cerebral Palsy; or you're concerned because your child isn't talking like others his age, early intervention speech language pathology can give the boost your child needs or keep him from experiencing more frustration. Intervention typically begins around 18 months of age, however for feeding or known developmental delays, it can begin as soon as the problem is identified. Preschool intervention (3-5) most typically involves children who are not using age-appropriate speech or language skills. Some common examples are not talking or not being understood by unfamiliar listeners. This age group is also where the children start to become aware of and frustrated by their lack of communication skills. Parents report behavior breakdowns (tantrums) or shut down. Fluency difficulties (stuttering) may become more apparent through these years. School-age intervention (5-16) may be a continuation of early difficulties such as articulation or developmental delays. At this age group we begin treating specific conditions of the voice and tongue thrusting. Unique to this population are more subtle language disorders or delays in areas such as social language, auditory processing, memory, organization and reasoning. As students reach 3rd and 4th grades, learning becomes less hands-on and more abstract, and often these deficits become more debilitating and frustrating. We also know that this age group tends to have more social stigma and self-esteem issues related to their difficulties. The good news is this age group is also more actively involved in the therapy process and responds positively to intervention. What is a Speech Language Evaluation? A speech and language evaluation is the measurement of a person’s communication skills. The evaluation is done by a licensed Speech Language Pathologist (SLP) by gathering information about your child and conducting testing specific to your child’s individual needs. The evaluation usually lasts about one hour but may need to be continued into the next therapy session. Other informal observations include: an oral peripheral examination which includes observing the child’s face, lips, teeth, tongue, palate, and throat; a voice examination; and fluency of words. Once the evaluation and testing is completed, the SLP will score your child’s testing and write a report based on her findings and create a plan of treatment. Your child will be scheduled for another appointment to discuss the report, answer any questions you may have, and begin therapy.